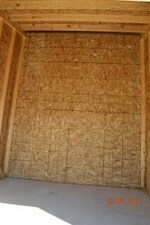 We offer a full line of storage units for rent. Feel secure knowing the owner lives next door. Country living with lots of room! This is a 10 X 10 unit with a 9ft. wide 7ft. high door. This is has a 9ft. wide by 7ft. high door and is roughly 16ft tall in the back. Lots of room for stacking high. This unit has a 9ft. wide 7ft. high door and is roughly 16ft. high in the back. 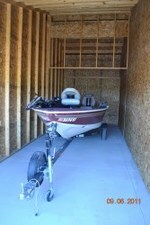 This is a nice unit for boats and trailers. This unit is a drive through with a 9ft wide by 7ft high door on each end. It is roughly 16ft high and works great for accessing both ends. We have room outside for parking vehicles, campers and trailes. Give us a call or email for custom pricing.